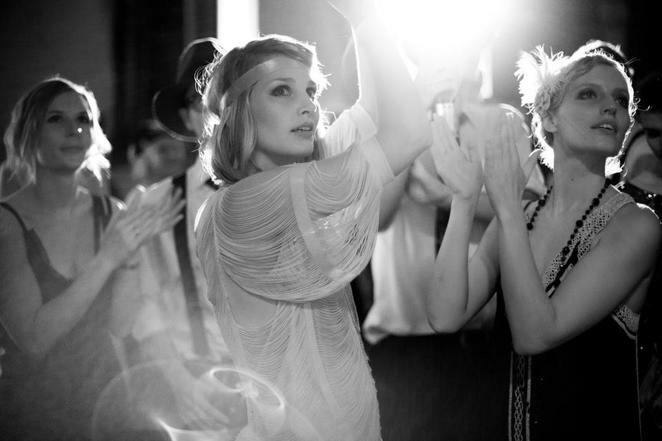 If you love the Roaring Twenties, then the Bourne and Hollingsworth Prohibition Party is the place to be. Being held at the Bloosmbury Ballroom on Saturdy 22nd November 2014, this is promised to be the most lavish Prohibition Party to date. Inside this beautiful, art deco ballroom in the West End Hidden of London, guests will be transported back in time to the glitzy and dizzy jazz. 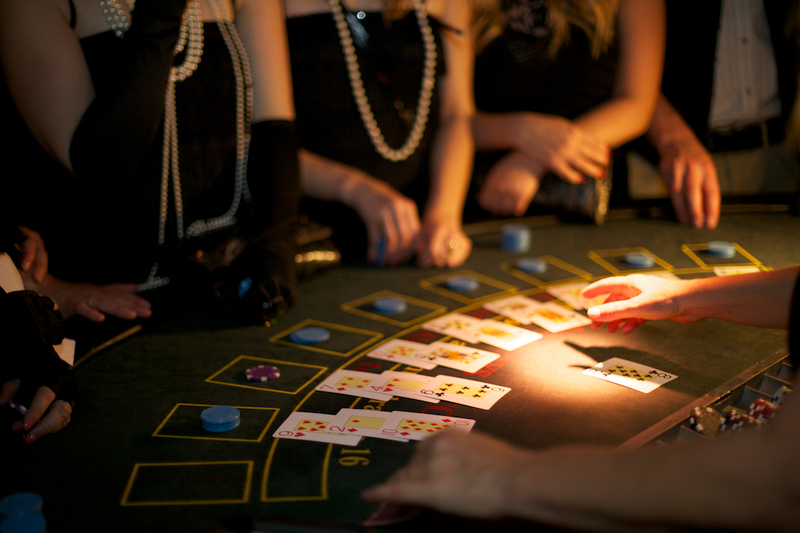 It is a time when, hidden from the beady eyes of the law, footloose flappers danced the Charleston, card sharp cads tried their luck at the roulette table, and everyone quaffed on the free-flowing bootlegged booze. The event has a dress code to match the occasion. Gentlemen are encouraged to dress like Jay Gatsby in a tuxedo and spats, whilst ladies can channel their inner Daisy; unfeasibly beautiful and exhaustingly glamorous in tassels and pearls. 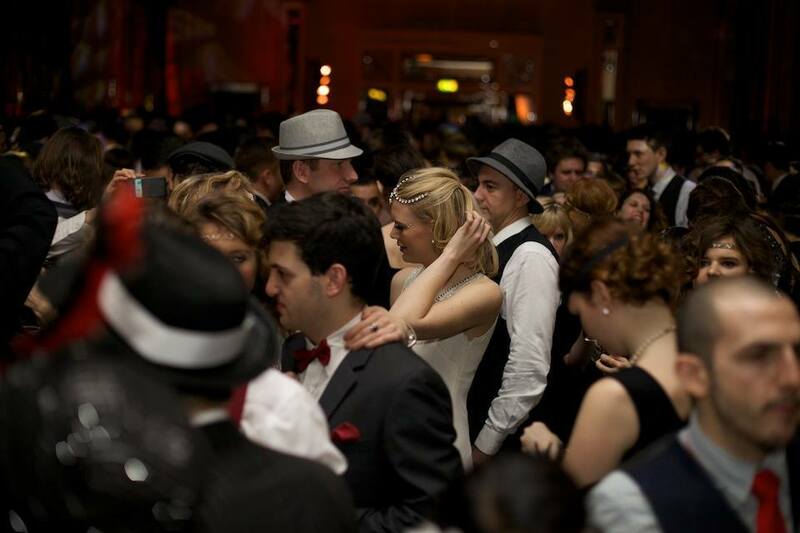 Throughout the night there will be live entertainment by various bands, with some dancing troupes, as the Jazz music demands you get footloose and fancy free. There will also be DJs on gramophones and a silent cinema. Gambling and roulette tables will entice you to try you luck – just one last time. To remain obscured from the law, cocktail menus will be circulated hidden inside the pages of a book, and drinks served in teacups. 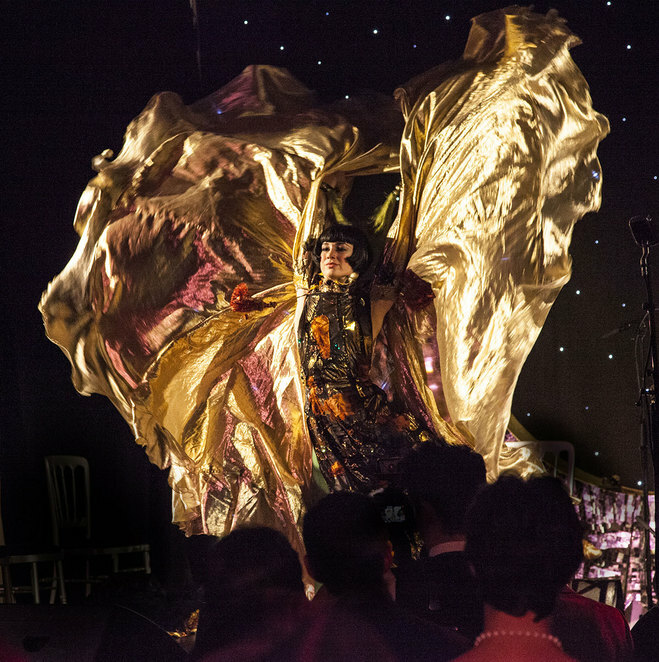 Previous performers at Prohibition events include Natty Congeroo and the Flames of Rhythmn and Ta Mère, as well as burlesque performances from Vicky Butterfly and Marianne Cheesecake. 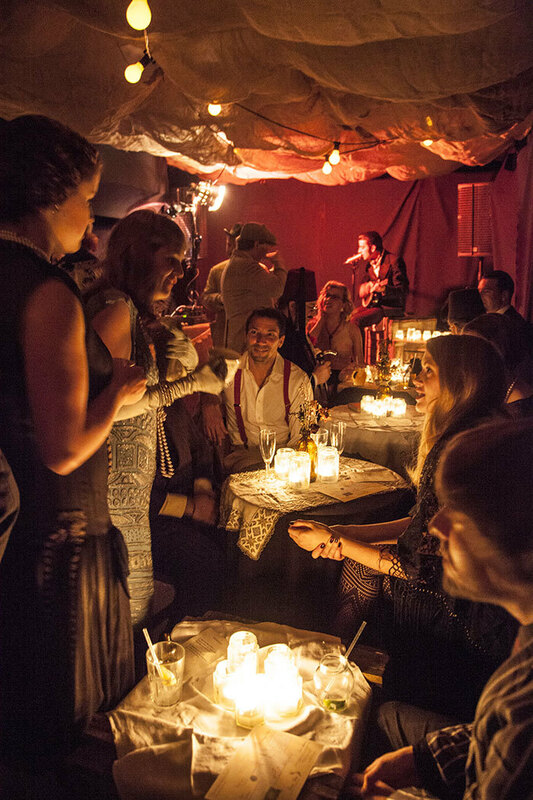 Prohibition Parties are traditionally a rip-roaring foray into a time in which sumptuous glamour met unbridled mischief with suitable aplomb. The party reflects a sector of society of that age, with all its sensation and allure, where opulence, exuberance and wanton waywardness were the order of the day.